With a fixed election date and the longest pre-election period in history, this fall’s federal election is promising to be the most watched ever. But with voter turnout on a nearly 30-year decline, especially among young voters, how will this translate into real change? 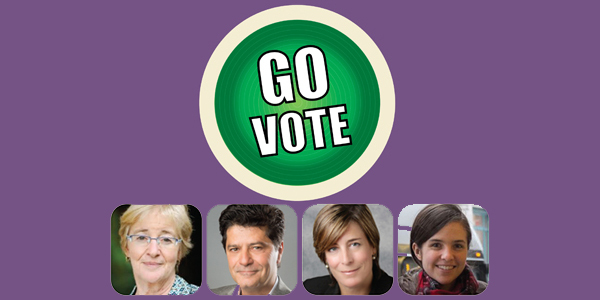 The Council of Canadians has teamed up with the Public Service Alliance of Canada, Unifor, the Canadian Union of Public Employees, and the Directors Guild of Canada to host a series of public forums across the country with one message: Go vote! As part of the tour, Canadians are urged to take a Voter’s Pledge where they can commit to vote in the next election and encourage at least two others to do the same. The public forum will be followed by a hands-on workshop on how to increase voter turnout in the Comox Valley. Thursday, June 25, 7 PM, Comox Community Centre, 1855 Noel Ave, Comox. Maude Barlow and the speakers are available for interviews.